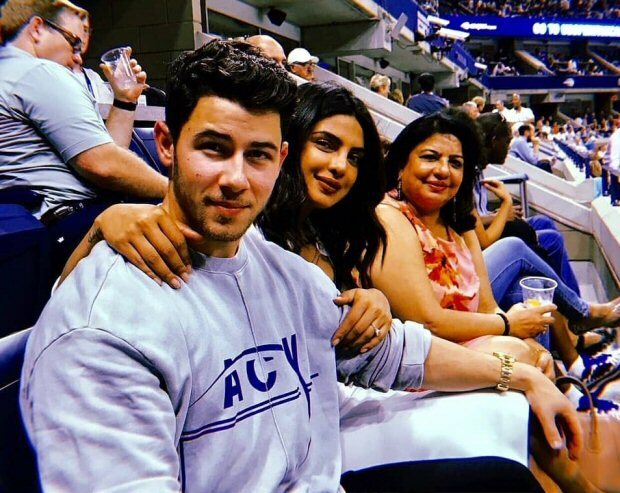 Priyanka Chopra and fiancé Nick Jonas have returned to New York City from their mini Mexico vacation and straight away reunited with Nick’s family. The couple went on a double date with Nick’s older brother Joe Jonas and his fiancé, Game Of Thrones actress Sophie Turner. The four of them went to watch the match between Serena Williams and Karolina Pliskova at the ongoing US Open tennis championship. Priyanka’s mom Madhu Chopra also accompanied them for the match. 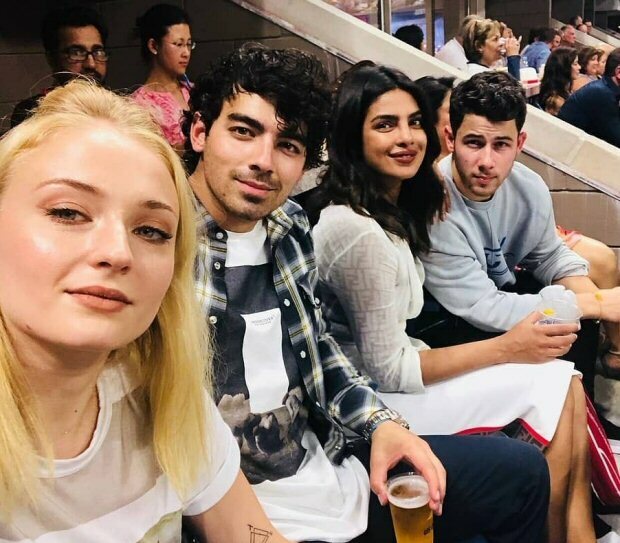 Priyanka shared a couple of photos from their relaxed evening and captioned it, “It’s a #famjam at the #usopen ❤ @nickjonas @sophiet @joejonas @madhumalati.” For the outing, Priyanka kept it fashionable with her white Fendi dress with white stilettos. Beach waves and gold necklace completed her trendy look. 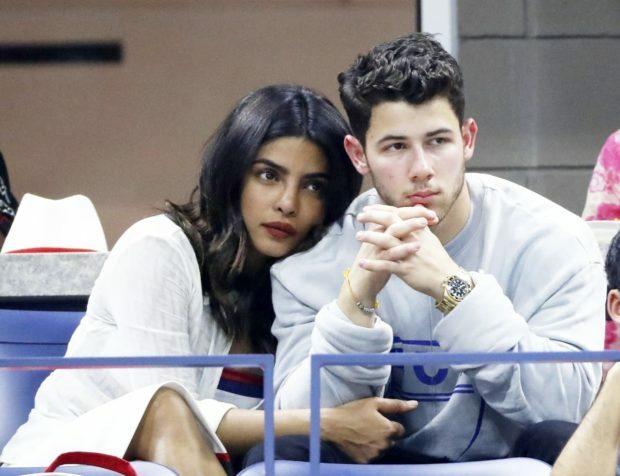 Nick Jonas kept it casual in a grey sweatshirt and black chinos. White shoes and crossbody bag rounded his look. Both Joe Jonas and Sophie Turner also kept it casual yet stylish. Joe donned a white graphic T-shirt with a flannel shirt. Sophie also wore a graphic t-shirt and black pants with a cutout of her right hip. A gold watch and white sneakers rounded her look. The foursome then went for dinner after attending the exciting match. The paparazzi caught them as they were leaving a restaurant in the Big Apple. Meanwhile, on the work front, Priyanka Chopra will be next seen in Hollywood flick I alongside Adam Devine, Rebel Wilson, and Liam Hemsworth. The film is scheduled for Valentine’s Day release next year. She is also starring in Shonali Bose’s tentatively titled The Sky Is Pink with Farhan Akhtar and Zaira Wasim. She has begun filming for the movie. Besides these two films, she has booked a leading role in Hollywood film Cowboy Ninja Viking opposite Chris Pratt.